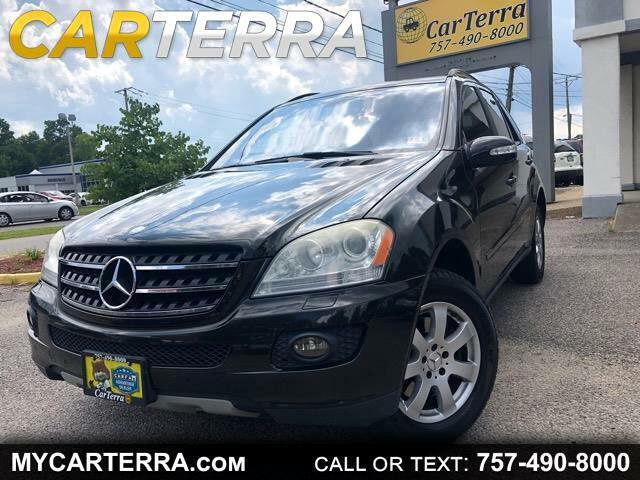 Hit the open road with this beautiful 2007 MERCEDES-BENZ M-CLASS ML 320 CDI AWD! It is loaded with plenty of features like: AWD, electronic brake assistance, heated exterior mirrors, front power lumbar support, interval wipers, full size spare tire, leather steering wheel, rear spoiler, second row folding seat, tachometer, cruise control, interval wipers, tire pressure monitor, power door locks, keyless entry, power windows, alloy wheels, traction control, trip computer, cargo area cover, power trunk lid etc. Gorgeous midnight green exterior, no dents or scratches and the black interior is well-kept leather, clean, smoke-free.